It is just fantastic to see the crowds swimming in Myrtleville, with over seventy swimmers in the water last night at various stages. 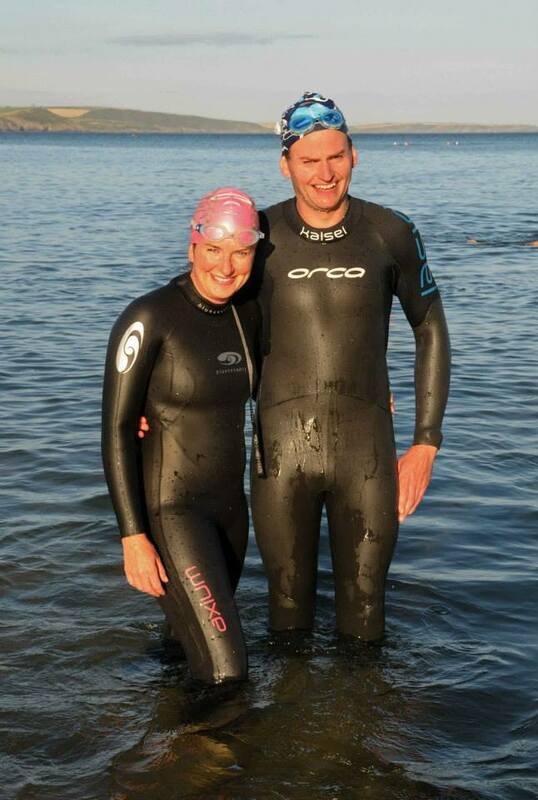 Carol Cashell was down after her pioneering Bere Island swim on Saturday (followed by Spike Island to Cobh on Sunday and she’s off to the pool this morning: “Slow down, Tommy (or Carol), Slow down!”). 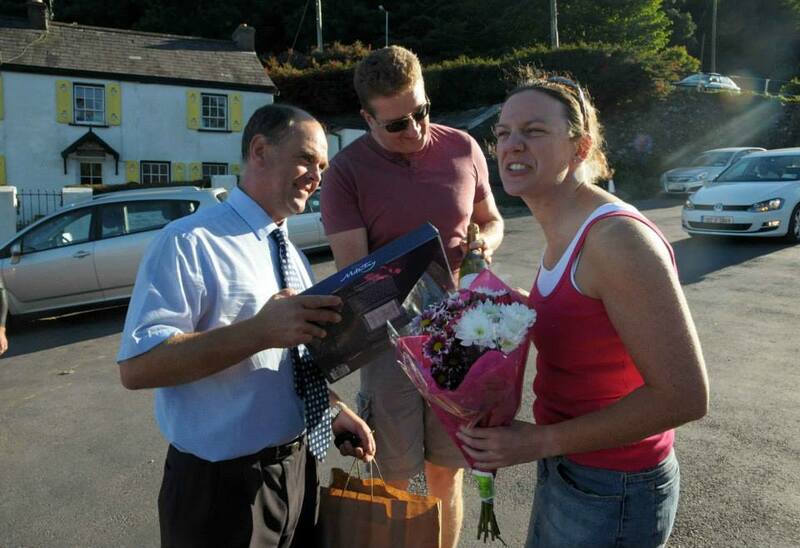 Bernard Lynch and Damian O’Neill benefitted from Carol’s help in their marathon swims last week and presented her with some small tokens of appreciation. 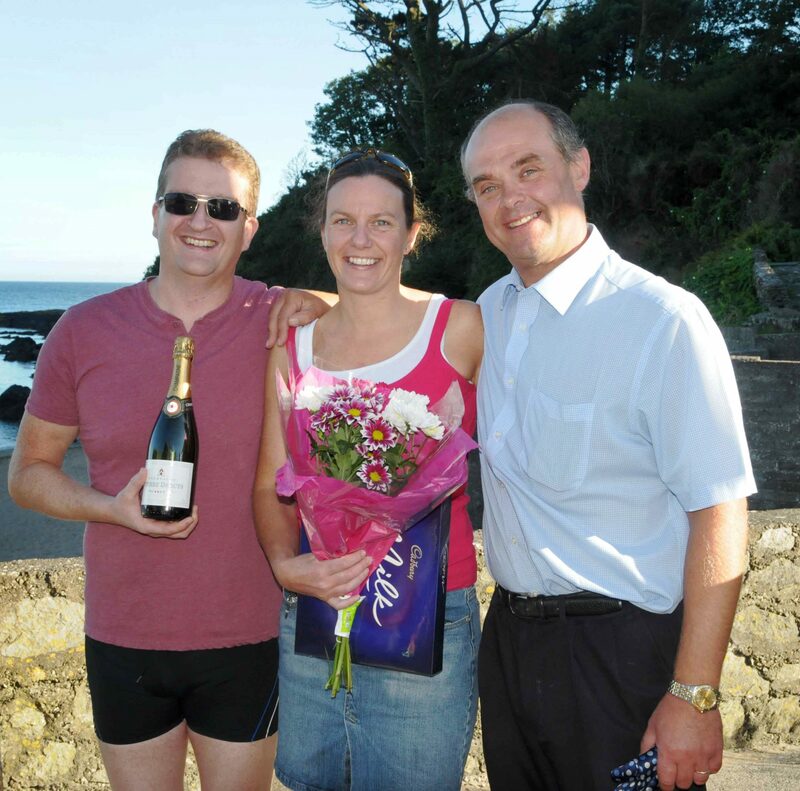 Presentation to our hero – champagne, chocolates and flowers for Carol. They’re all MINE and you’re not getting ANY!! (I told you she was MEAN). Rebeca Power was back after a few weeks away and James Slowey took time off the bike after his Haute Route adventures to get used to the water again. Rebeca Power, Niall O’Herlihy & James Slowey. Carol eventually agreed to share, so the sisters were friends again…. Carol, Eleanor and someone who heard about Carol’s doggy paddling…. Siobhan Russell did a great job getting various groups together and managed to organise one large gang before they went in…. 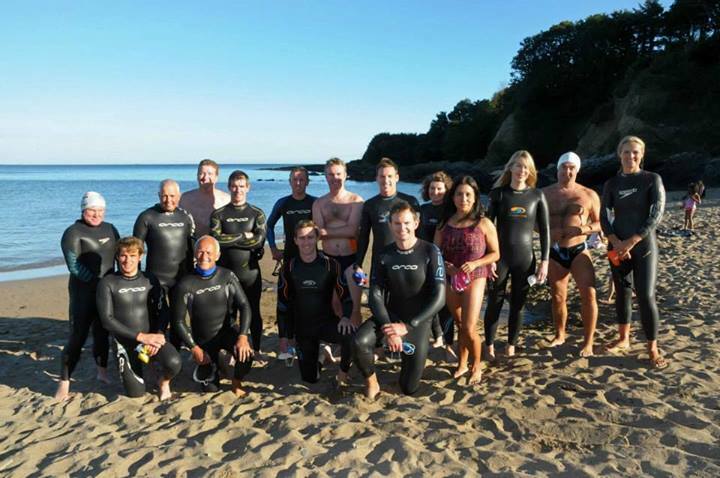 Some of the Myrtleville swimmers on Monday night. 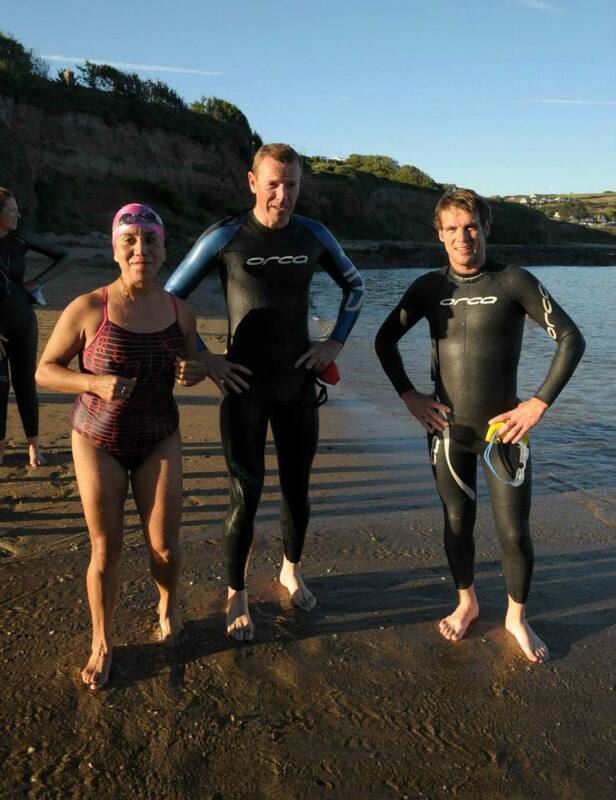 Michelle Glossop Smyth was giving tips on swimming in Myrtleville – she’s had lots of practice all Summer. 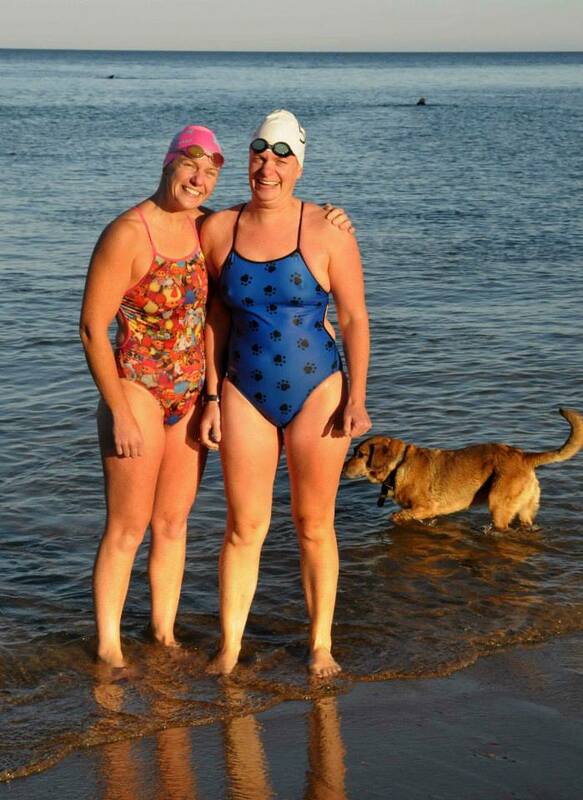 Two more Myrtleville regulars finishing their swims. Steve McCarthy with Niamh O’Connor. 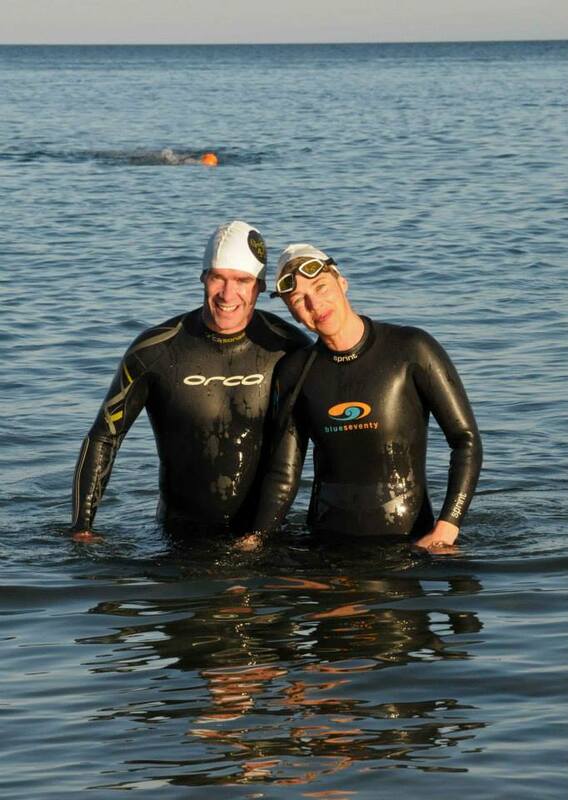 Cyril Walsh gave some much-appreciated kayaking support for the practice swim for Crosshaven Tri last Saturday and was down for some training himself tonight with his wife, Barbara Anne. Barbara Anne Richardson & Cyril Walsh. Lots more great pictures from Siobhan Russell online here. 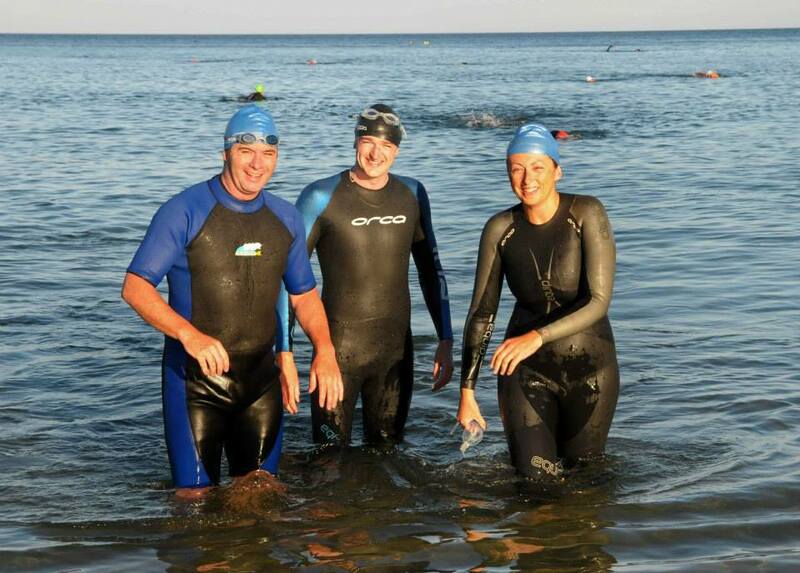 This entry was posted in Information and tagged Myrtleville swimming, Open water swimming - Cork, Open water swimming - Cork - Ireland, Sea swimming - Cork, Sea Swimming - Cork - Ireland, Triathlon by myrtlevilleswimmers. Bookmark the permalink. Swimmers don’t share food…. you know that!